Hawick’s wife, Chinese actress Yang Mi (楊冪), is currently several months pregnant. The soon-to-be parents are extremely thrilled to start the next chapter of their life. “I have confidence that I will be able to balance both work and family,” said Hawick. The 39-year-old actor has just completed the filming of his new drama, Lady and Liar <千金女賊> and attended a press conference for the series several days ago in Shanghai. His costar Tiffany Tang (唐嫣), who is best friends with Yang Mi, was the couple’s bridesmaid. Portraying Tiffany’s love interest in the drama, Hawick expressed that he felt like he had sinned after he kissed Tiffany’s lips. Hawick is such a sweet son and soon to be father. It is truly difficult to be not just a mother but a father too. Some do not understands the burdens of being a father/ mother until they become one themselves. His fatherhood is just only beginning…….just wait till your kid grows older and then the real pain of parenthood will kick in…………. Harwick Lau looks young for a 39-year old man. You have a good point here. By just looking at his forehand you can see it is flawless and eye-catching which gives a hint of either botox or plastic surgery. 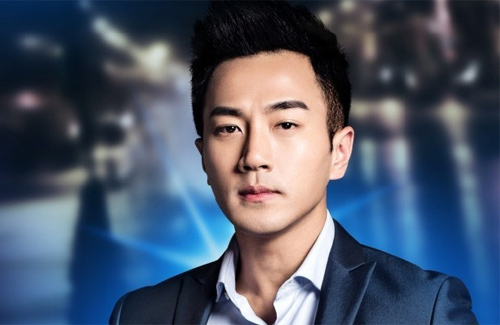 Other artists that I suspect to use Botox include Raymond Lam, Jack Wu. For the most part, I think Asian guys who were good looking when they were young only get sexier with age. But Hawick looks more plastic than anything else. he is such a great man!!! His face is as natural as a mannequin’s. Too much botox, Hawick. Plastic or not, personality that matters. I think Hawick is a great son and a wonderful husband. Whatever he is still hot. That guy is the true representation of what determination meets. Yes his looks seem unatural and with all those makeup. He looks incredibly youthful, not just botox but his features and all. But his neck betrays his real age.